The football team that represents the Pune city in the Indian Super League is FC Pune City. Owners of this premier football club are Rajesh Wadhawan Group and its promoters Mr. Kapil Wadhawan and Mr. Dheeraj Wadhawan. 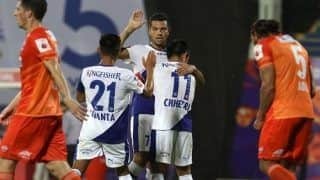 The co-owners of the club are ACF Fiorentina which is a top flight Italian football club in Serie A and Bollywood superstar Mr. Hrithik Roshan. On 13 April 2014, it was announced that Salman Khan and the Wadhawan Group had won the bidding for the Pune franchise. 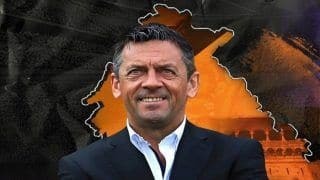 Later due to issues of sponsorships and endorsements, Salman Khan opted to move out from FC Pune City and Hrithik Roshan came in as the co-owner of the club. Since its inception the club has been managed by David Platt and Franco Colomba. 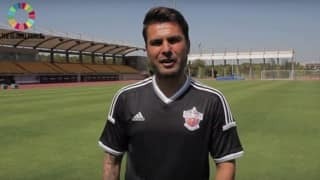 The club has some global superstars such as David Trezeguet, Adrian Mutu, Kostas Katsouranis, Didier Zokora, Tuncay Sanli, Emanuele Belardi and Bruno Cirillo among others. The home turf of FC Pune City's is Balewadi Sports Complex. Logo of the club is a shield with orange and purple stripes representing city of Pune and partner city of Florence (home of ACF Fiorentina). 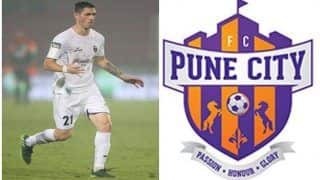 The FC Pune city carries the rich heritage of Pune. 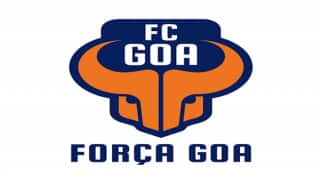 The symbols of fort and horses in the logo represents strong defense and swift attack respectively; also alluding to the proud history of Marathas and their war strategy of strong fortification and guerrilla attacks.FC Pune has been a tough contender in the league with the kind of line up they have but they havent been able to make it to the Semi finals yet. The team played their first ever Indian Super League match on 14 October 2014 with Delhi Dynamos FC at the Jawaharlal Nehru Stadium, New Delhi and it was a 0-0 draw. 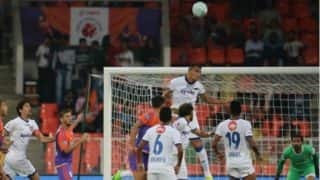 On 18 October 2014 they played the first derby at DY Patil Stadium in Mumbai with an attendance of 28,000, FC Pune City suffered their first loss of the ISL with a score of 5-0. 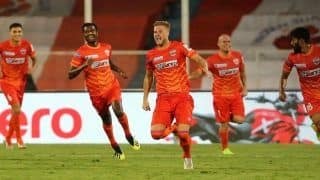 On 26 October 2014 at the Shree Shiv Chhatrapati Sports Complex with an attendance of 7,517, FC Pune City got their first win with a final score of 2-0 against FC Goa. The Hero of the Match award was given to Kostas Katsouranis as he scored the first ever official goal for FC Pune City, while the second goal was scored by the club's marquee player and Captain David Trezeguet.On 30 October 2014 at the home stadium with an attendance of 8,227, the club suffered a defeat with a scoreline of 1-2 against Kerala Blasters despite David Trezeguet scoring the first goal for FC Pune City in 15th minute. 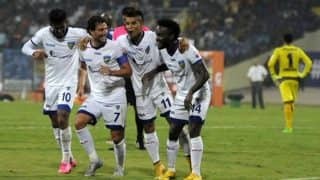 On 3 November 2014 again playing at the home stadium with an attendance of 7,647, the club showed Great Spirit against NorthEast United FC and John Goossens gave the win with a goal in the 88th minute with a wonderful attempt by Dudu Omagbemi which bound from the bar and Goossens headed it in for a goal. The final score was 1-0 and FC Pune City jumped to the 4th Position in the league. 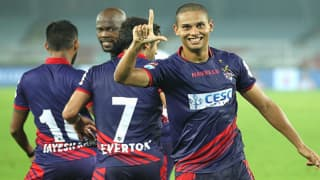 On 7 November 2014, at Salt Lake Stadium with an attendance of 21,550, the club took on the league topper Atltico de Kolkata. FC Pune City was the underdogs in the game and emerged as the winners with the final score of 1-3 in favour of Pune. 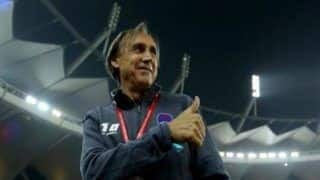 The club broke the unbeaten stint of Atltico de Kolkata by defeating them at their home ground. Dudu Omagbemi scored the first goal, Kostas Katsouranis scored the second goal and picked up the Hero of the Match award and Davide Colomba scored the third goal with a deflected free kick. 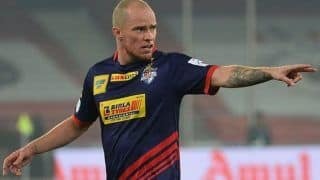 Kostas Katsouranis and John Goossens were the stars of the match but John Goossens suffered very serious lower rib cage and paraspinal muscle injuries after a collision with his own teams goalkeeper Arindam Bhattacharya in the 78th minute. 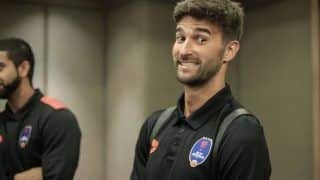 This injury cost Pune Goossens for the rest of the season. The club began its second season in 2015. 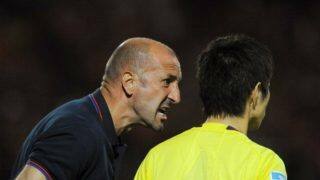 The captain for the second season was Didier Zokora and the marquee player was Adrian Mutu. They played their first home game on 5 October 2015, against Mumbai City FC. The club won the game 31 with goals from Tuncay Sanli (2) and Israil Gurung.They played their second game of the season at home against North East United FC. 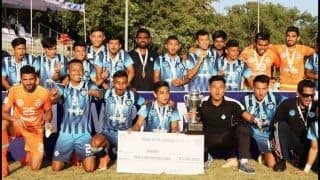 An own goal from North East player Ralte secured the team the win.The third game they played was against Delhi Dynamos FC on 14 October. The club lost the game, 1-2 with Kalu Uche scoring the only goal for FC Pune City in the last minute of the game. 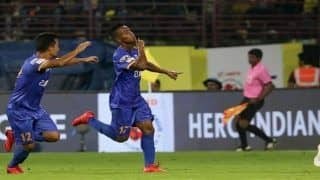 This game saw the debuts of star players Jackichand Singh and Eugeneson Lyngdoh, but they couldn't give the team the 3 points. ISL 2015: Hrithik Roshan's FC Pune City take the Dizzy Goals challenge! 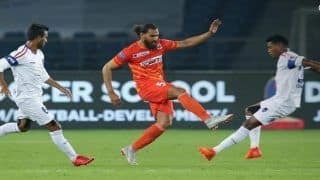 Delhi Dynamos vs FC Pune City Football Live Streaming, ISL 2018 Football Live Score Streaming: When And Where to Watch Delhi Dynamos vs FC Pune City Live in IST?